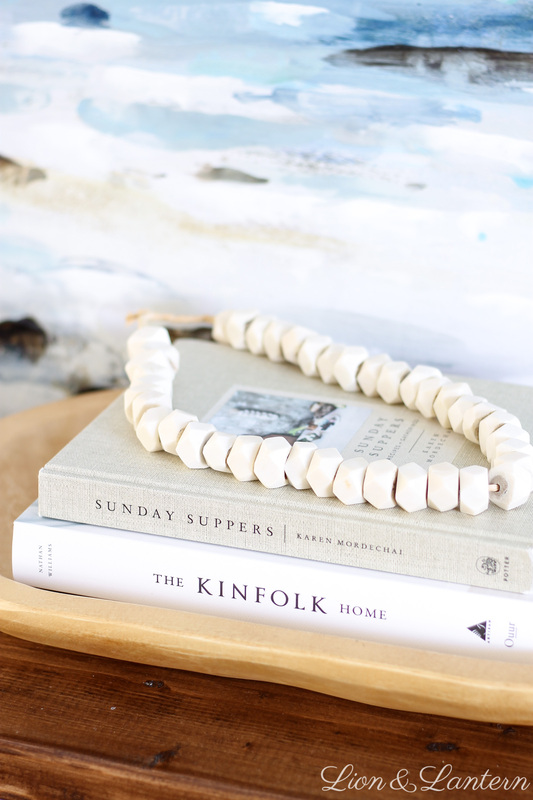 Warm up your winter days with simple coastal touches in the home. 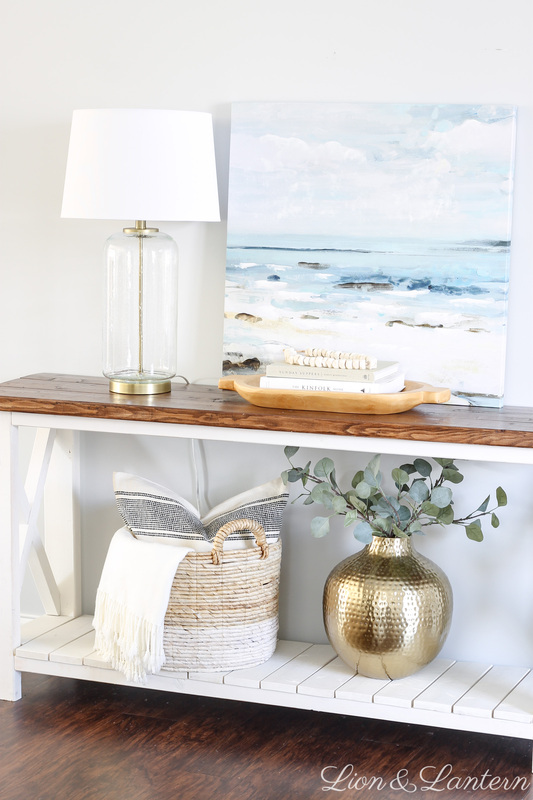 Creating a casual, coastal vibe is easy with ocean inspired artwork, seagrass baskets, light woods, and glass accents. Hi sweet friends! 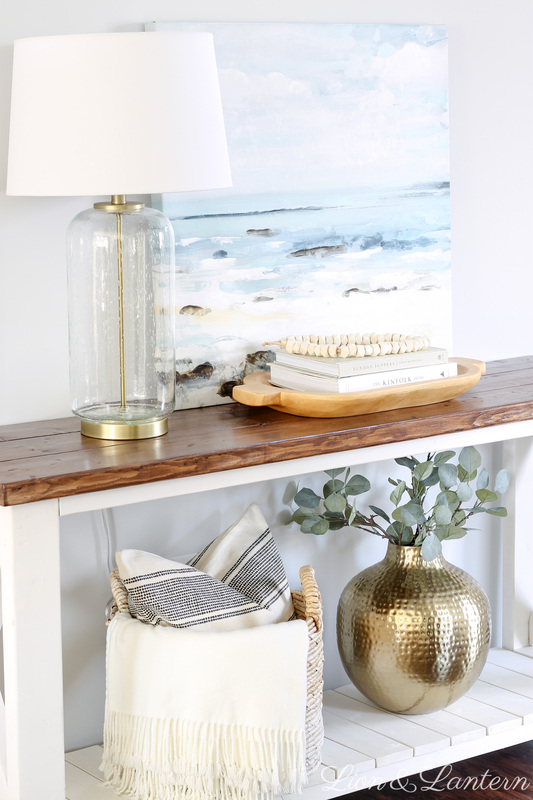 It may be a winter wonderland outside, but today I’m sharing some tips for styling a simple entryway (or any space!) with coastal decor. 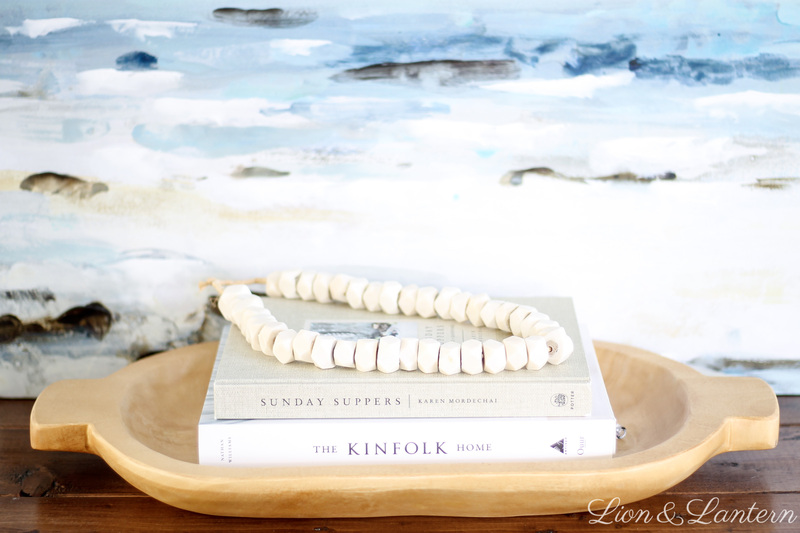 I love adding a subtle beach-y vibe to our home, not least of all in the winter months when we need a subtle reminder of sunshine and sea. 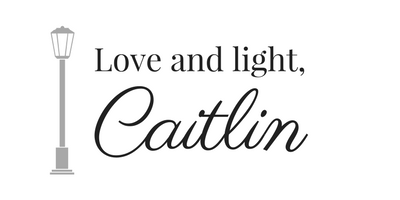 Keep reading for easy styling tips and sources! 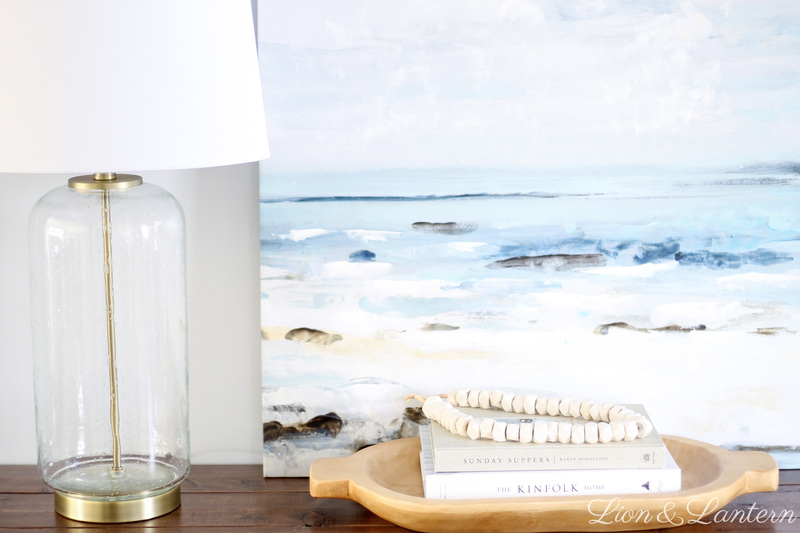 Unfortunately my painting is no longer available, but I rounded up some ocean-inspired paintings and printables that I think you will love! 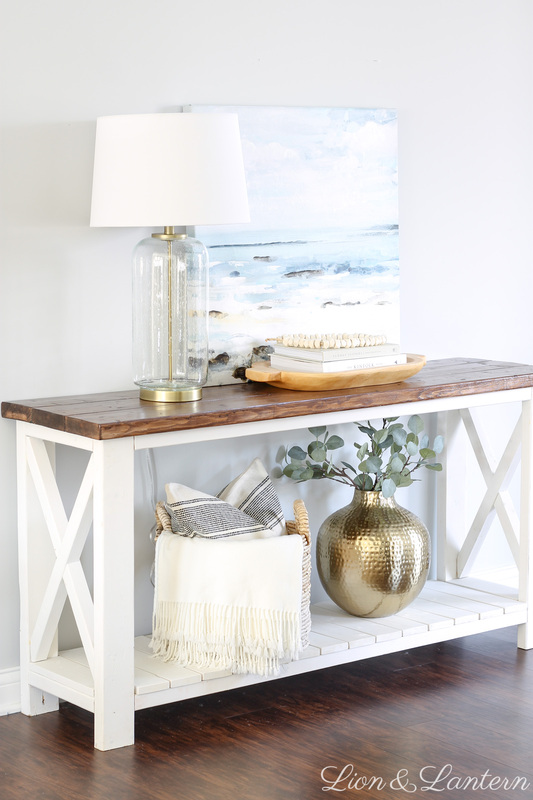 I received this lamp for Christmas and love the airy, coastal vibe it adds to our entryway! 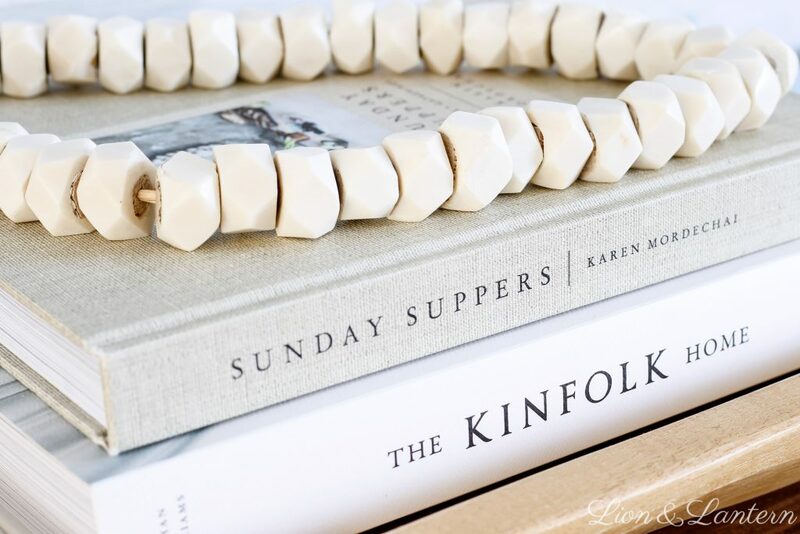 These faceted white bone beads were a recent discovery from Etsy, and the books were also Christmas gifts. As for all of the other pieces you see, I already had them! 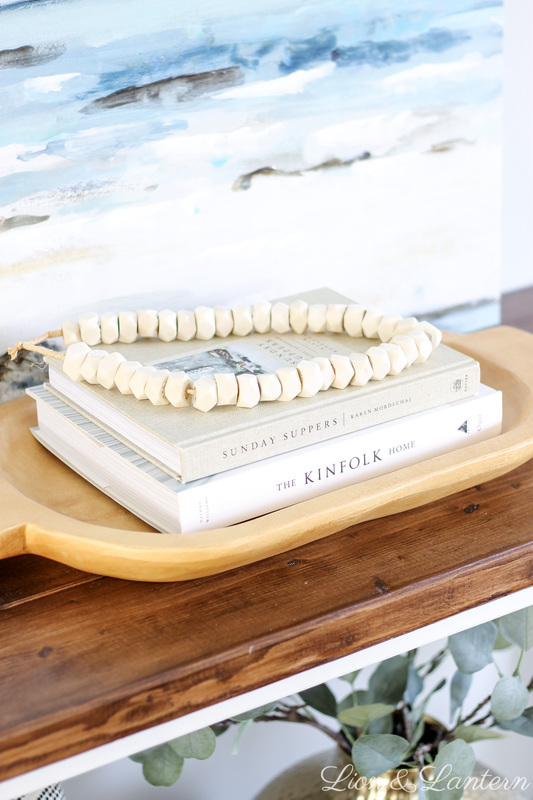 You may remember the wooden tray from our fall living room last year, and my hammered gold vase from our classic Christmas entryway. 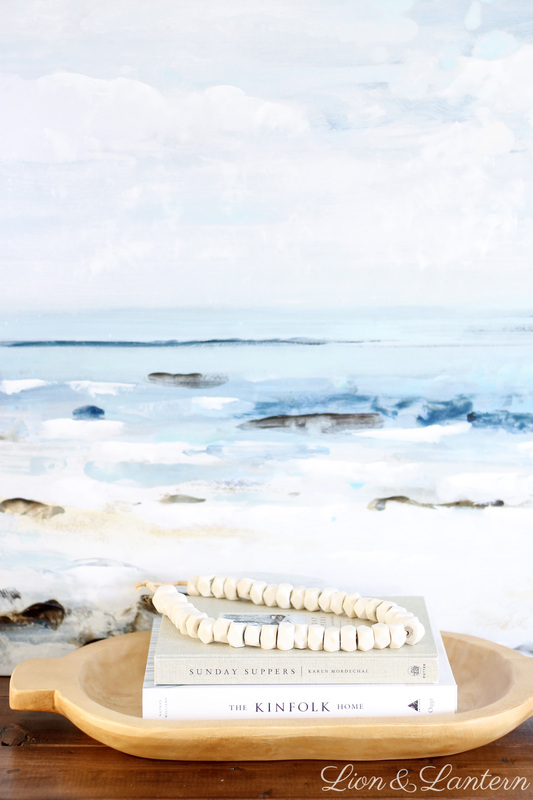 If you are on the hunt for a few new coastal accents, I’ve rounded up some favorites! In terms of styling, I decided to keep my design simple. 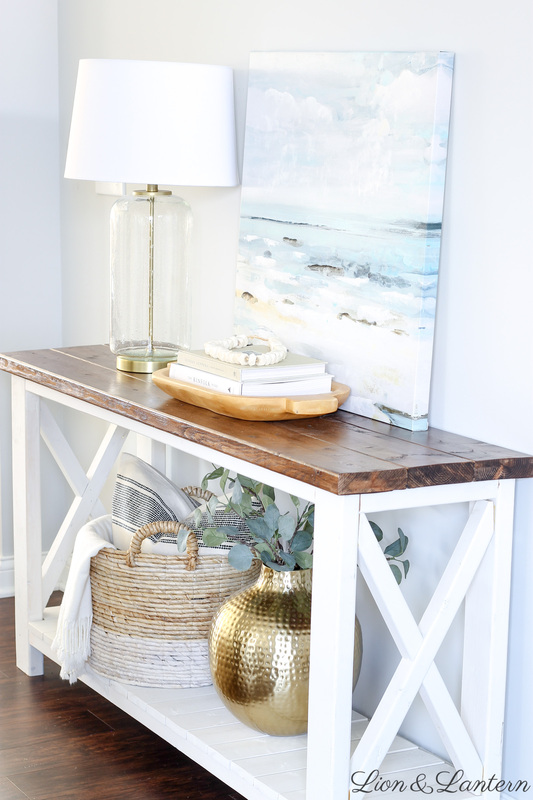 In the past I have packed decor items onto this console table (check out this post from a year and a half ago! ), but lately I’ve been craving a more modern, minimalist look. I’ve learned that scale is more important than quantity when it comes to decorative accents. It is more visually pleasing to use a few larger statement pieces–such as the lamp and vase–than to clutter the space with little items. Of course, this is my personal taste! 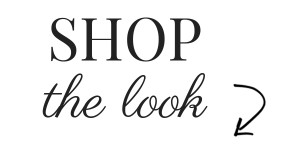 But I do love a clean look for January, especially! I hope you found this post helpful! 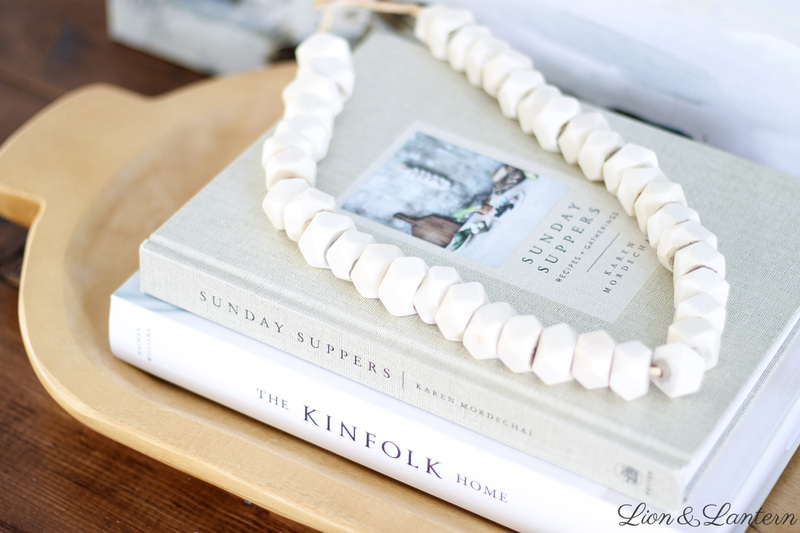 What are your favorite coastal decor items? Do you reserve coastal style for summertime, or incorporate it all year long? 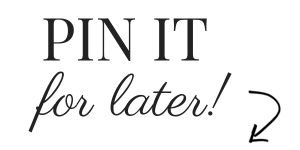 Leave me a note below!